Think you know hockey? Prove it. It’s that magical time of year once again, and Lauria Hyundai and Lauria Volkswagen are teaming up to award your hockey knowledge with our 4th Annual NHL Playoff Hockey Pool!! Grand Prize is $500 Winner Take All! 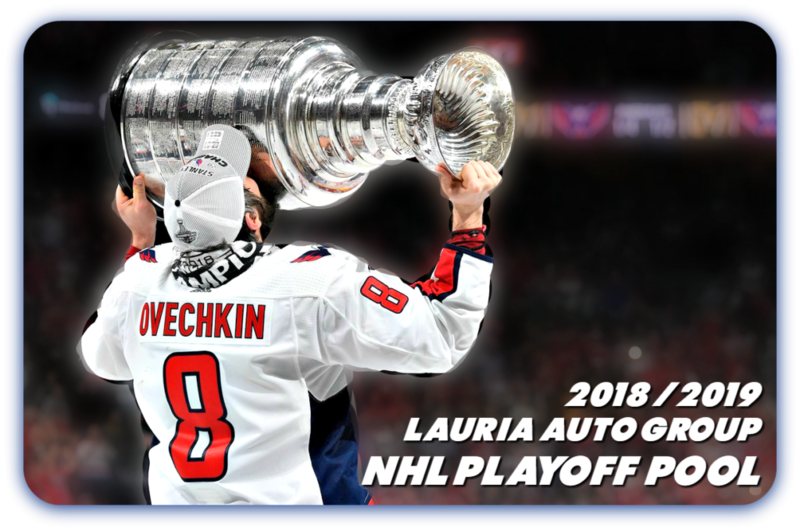 Prove your hockey IQ, impress your friends, and claim the ultimate bragging rights in the Lauria Auto Group 2018 / 2019 NHL Playoff Hockey Pool! No purchase necessary so tell all your friends, co-workers, family, even tell your enemies just so you can defeat them, we want to have some fun while watching the Leafs march to the cup! 1). Click THIS LINK to setup an officepools.com account and pick your own team online. 3). Print this form, make your picks, Visit Lauria Hyundai or Volkswagen in store and submit your entry form at the reception desk. – Online entries can be submitted until 7:00pm, April 10th, 2019. Limit of 2 entries per person. Additional entries will be deleted. In the event of a tie, the cash prize will be shared among the winners. 1st place receives $500.